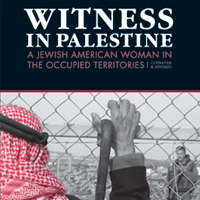 I. Anna Baltzer’s award-winning presentation in Life in Occupied Palestine: Eyewitness Stories & Photos provides an excellent introduction—in a down-to-earth, non-alienating way—to the occupation of Palestine and the nonviolent movement for freedom and equality in the Holy Land. Join hundreds of others in screening the video at a local conference, church, school, library, coffee shop, senior center, community center or home, or elsewhere! 1. If you don't have a copy of the DVD but want to do a public screening, visit Brave New Theatres for a free copy! Info at Free DVD Project for Palestine. 3. If possible, consider inviting someone who has been to Palestine to answer questions about their own experience after the DVD. It’s a lot to digest and people may feel the need to discuss it, or they may not. 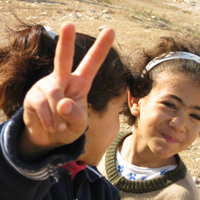 If a local Palestinian is interested in doing this—all the better. 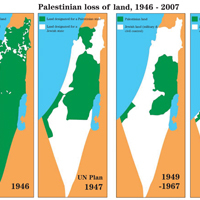 It’s important to challenge the perception that Jewish voices are more credible than Palestinian voices on this issue. 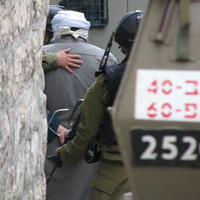 Palestinians are, of course, the experts on their own struggle. 4. Consider bringing extra copies of the DVD to sell at the event. This will encourage others to spread the word, and can help you raise funds to organize other events in the future. Contact Anna to get DVDs on contingency or for a bulk rate. 5. PUBLICIZE! Below are some materials and ideas for publicity. NOTE: For all of the below, an easy way to find and contact local media is via this website. Important: Always make sure to call after sending any materials to follow up that they received it. a. Send Press Releases inviting local newspapers, radio stations, or television stations to cover the event. Directions for making a press release are available here, or use this Sample Press Release (make sure to insert the specific details of your screening wherever the font is red). Follow up. b. Local newspapers, campus newspapers, church or community newsletters, and others can print Announcements about the event. 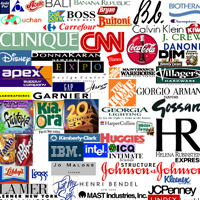 Send them a brief sample announcement (feel free to use this sample) with relevant details. Follow up. c.	Create a Facebook Page by following the directions here. 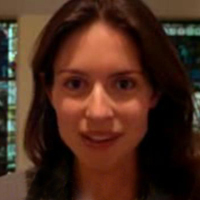 Anna can publicize it on Facebook if you send her the event link. d.	Send presentation details with an Email Alert to any potentially interested groups or friends in the area who might be interested. Sample email. e.	Print and post Fliers about the event. Ask professors on the Middle East, church leaders, or other representatives to pass them out to their communities, or to announce the talk. Feel free to use photos of Baltzer or Photos & Maps from Palestine or this sample flier in your publicity. f.	Register your Screening Online at Brave New Theatres (especially if you want people to RSVP, but even if not). Also, email Anna Baltzer with details to list on her website! 6. Other useful tips for hosting a screening can be found here. II. 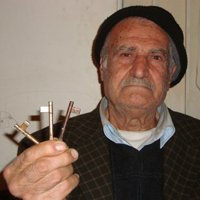 Consider airing Life in Occupied Palestine on Local Public Access TV! III. 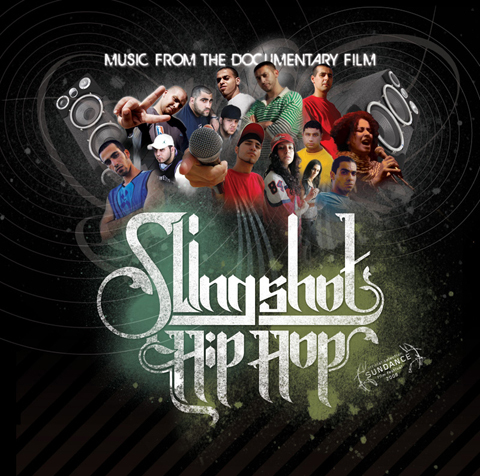 Another video to consider screening is Slingshot Hip-Hop, an incredible documentary about the rise of the Palestinian hip-hop movement as nonviolent resistance through music and spoken word. This DVD is one of the best out there to learn about the people of Palestine, especially for youth. Personal and institutional copies available here, or contact the filmmaker. For a comprehensive assortment of Palestine films, visit Palestine Online Store.